Geraldine took up riding a bike at 38 after involving her children Philip and Anna into racing. Like them she has raced road, track, cyclo-cross and time trails. 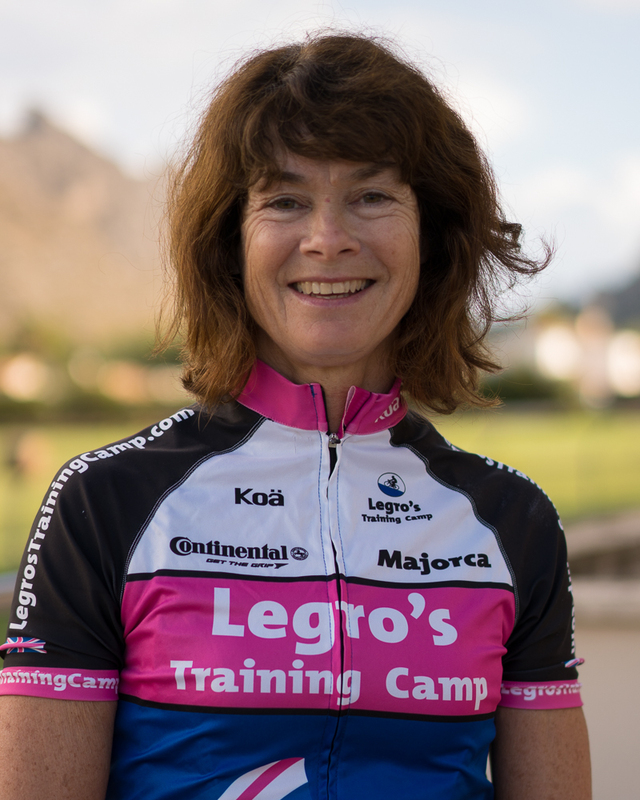 Now Geraldine mainly does long distance road sportives (Gold Standard) both here and in France. She nicked named “mama G” by many of the local cycling fraternity as she tends to be nurse, helper, comforter and encourager on rides. She wants more people to experience the joys of cycling. Mama G is involved with “Ananichoola” and Mule Bar Girls to promote Women’s cycling and women’s cycle clothing with her daughter Anna Glowinski.